Horry County (where I live in SC and pronounced ” O-REE”) has always been a little different. Besides having the highest concentration of neon in the state, it’s also an independent republic (see the county seal below). Evidently that’s a joke that started in the mid – late 1800s, a funny nickname that referred to the politically independent minded people. At the January 26th democratic primary, Barack Obama won the state of South Carolina by 55.4%. 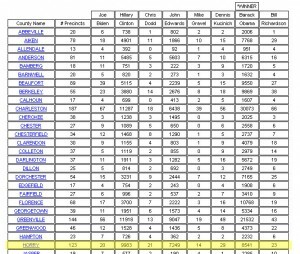 Obama won all but two counties in the state – Oconee County (where John Edwards was born and came in first) and Horry County. 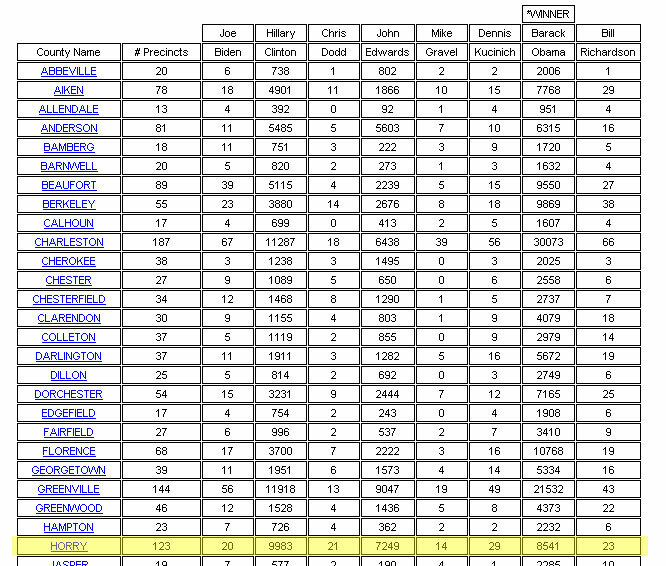 Hillary won Horry County by 38% (Obama got 33% & Edwards came in third at 28%)! 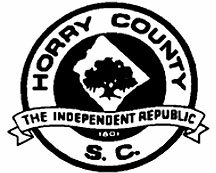 I love Horry County & I love Hillary! She’s gonna win!